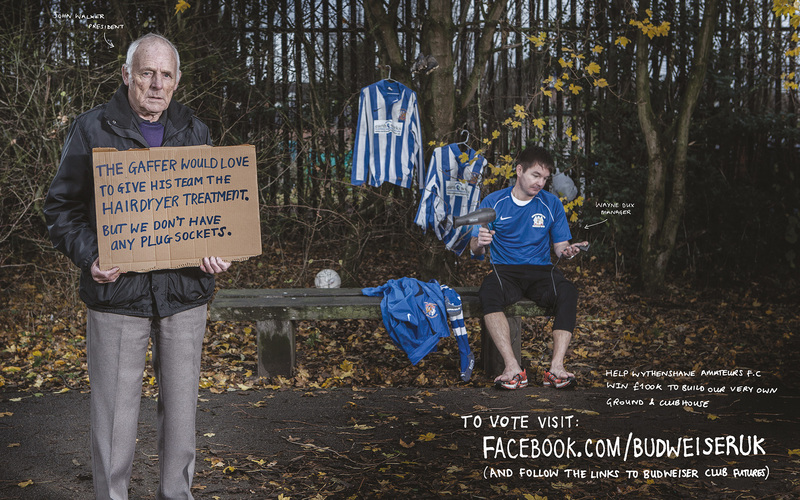 Wythenshawe Amateurs Football Club is a community-run charity in a deprived area of Manchester. They had an opportunity to compete against seven other clubs from around the country to win £100,000 in a competition run by Budweiser and the FA. 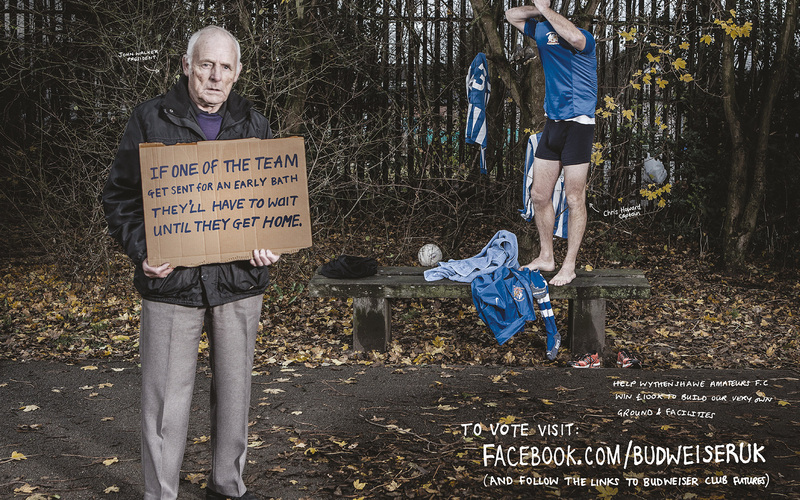 To win they need to generate the most votes on Budweiser’s Facebook page. With no media budget we knew that our strategy would rely solely on word-of-mouth and earned coverage. To make this work we knew that a compelling story was needed, one that would touch the hearts of journalists and social media evangelists and drive them to spread the word through their networks. Our collaborative team of strategists and creatives set to work together, hunting for a narrative around which to build the campaign. We observed that all their competitors already had facilities, and they simply wanted funds to improve them. 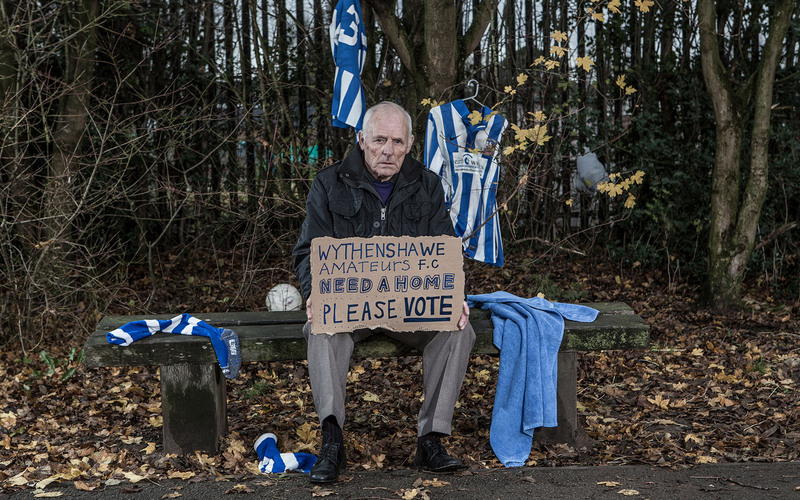 Wythenshawe didn’t even have a ground — they borrowed the cricket pitch to play their matches. And so the story became clear: this was a story about a football club that needed a home. And in doing so we’d reframed their prize. Having spent time around the club members we knew just the person to tell our story: seventy-four-year-old club chairman, John Walker. 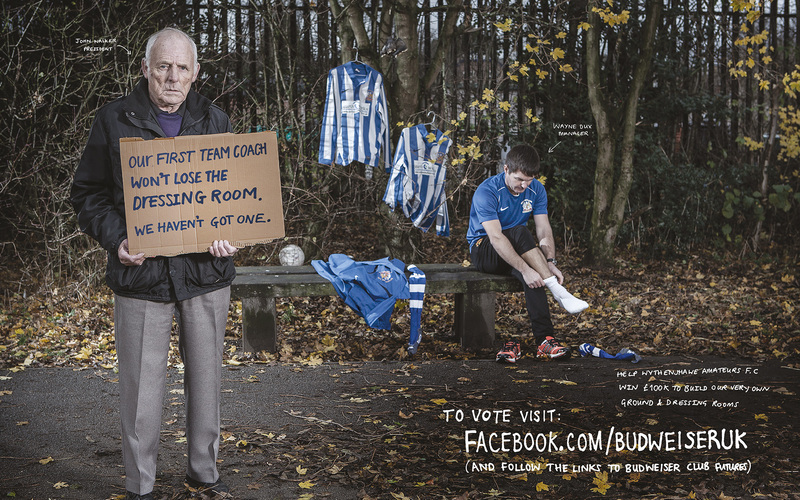 So John became the poster boy for our campaign, telling the emotive story in a short video and starring in all the key pieces of creative. Working with a team of PR and social media partners, we put the creative assets into the hands of people we’d identified who could get the word out through traditional and social media networks. 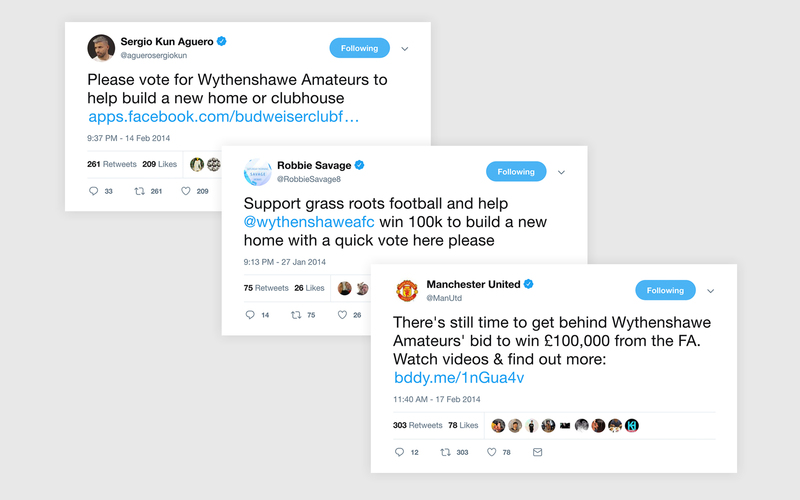 This kick started some fantastic coverage, including a headline story on the ITV evening news and tweets from the likes of Sergio Aguero, Robbie Savage and Manchester United. Wythenshawe Amateurs won, by a mile!